Shake vigorously with crushed ice until mixture becomes frothy. Strain into Pisco Sour Glasses. 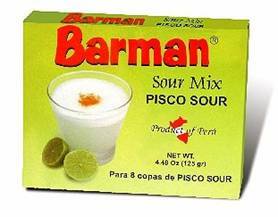 The easiest way to prepare a perfect Pisco Sour! Just add your favorite Pisco (could also add Whisky, Ron, Vodka or Gin instead of Pisco). Each box serves 8 glasses of tasty Pisco Sour. The result is nearly indistinguishable from a peruvian bartender. Special to drink Pisco Sour, the most famous Pisco Cocktail!